A chance to try a couple of these feathered friends one on one – bird vs bird, razorbill vs roller, winter v spring. 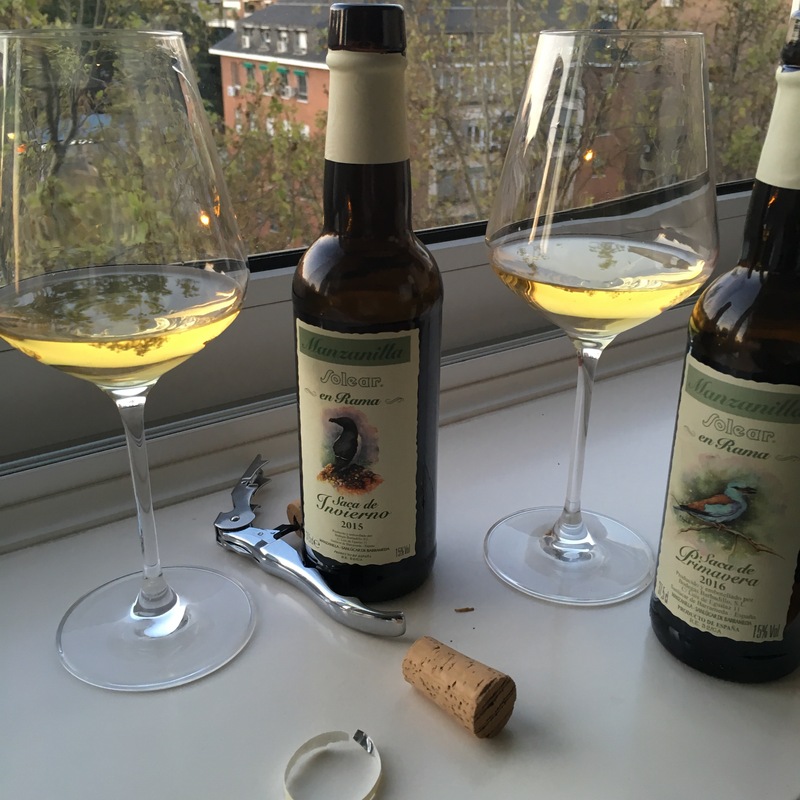 Wines from the same solera just a few months apart. It is unlikely they are from the same botas: more likely a different selection each time (there are 13,050 botas after all). I am pretty sure that they are of a similar overall age (around 10 years under flor) and have come through a similar number of classes – but would be happy to be corrected. First impressions – nothing between them in colour terms. On the nose of the razorbill maybe slightly more of the hay bales/acetaldehide while the roller maybe has a touch more sea air but it is very marginal. They even out and get even closer as they warm in the glass. What a wine this is. I love the zingy mineral spice of them both and it is so hard to choose between them. If I had to, that hair’s breadth more juice to the razorbill makes it my marginal favourite.